Most life insurance agents would be thrilled and happy if they could be closing cases. As long as sales are there, agents are happy, the agency managers are also happy and the entire company is even more happier for them. 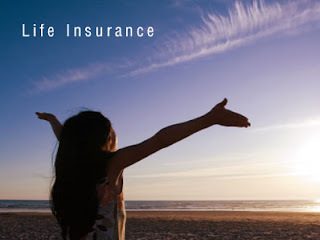 But the fact is... Life insurance is not a tangible product. It cannot be seen nor touched but can only be felt. Right? To me... Are we happy because we are securing sales or are we happy because we have created the 'piece of mind' to our clients who bought our unseen and untouchable product? In sales are the figures which come along with money, benefits, commissions and incentives. Are we happy because those figures excite us or we are happy because we are saving lives and giving hopes and promises to those who believe in us. Is really very subjective in these questions!!! My past experiences tell, most buyers or consumers seldom believe or trust in sales people. They assume most sales persons sell for the sake of making money, they sell for their benefits and they might not be truthful in their sales. Unless one could prove that he is honest, sincere and has integrity, that particular salesperson might not last very long in his profession. I have been selling for 45 years, and wish to relate... The best and most happiest time isn't the time when I close the sales but rather is the time when those sales finally ended. The period term when those sales conclude could be when the policy matures in 20 or more years later. Handling those maturing cheques to those deserving clients were honourable. Seeing their children grew when those needed money was there to provide for their education. Or giving those retirement fund to my ageing clients. These were moment I will never forget. It thrilled me more than the sales I closed. The last one week, I had three clients who were admitted to the hospitals. One had to go for his brain tumour operation, one was having a heart failure and the last went for her ovaries removal. I was there to self heal them, giving them encouragement and making sure that all medical expenses will be paid by us. I felt great that I could assist because fighting a sickness requires confidence. They need a strong mind and no worry in finance and I was there to give the assurance in the finance part. Sad to know they were sick but proud that I could help. The same week, I had three friends who had passed away. Nothing much I could do when they had to depart this world but on their behalf I promised that those needed insurance money will be paid to their survivors whom they loved so much. I stood tall among their friends and relatives because I was the only one who could bring them hopes with the insurance. Thirty years ago when they had bought their insurances with me, today I'm still around to fulfil my promises that I will deliver my products. I didn't deviate, remain faithful, focus and more so still alive to conclude the sales professionally. Yes I'm sad my friends had departed, but deep down my heart I felt honour to be able to assist their sorrowful families. Yes! Sales are important but to gain the happiness out of selling, is to see the end result of the sales, Life Insurance. Hi Mr Not So Lonely, Curious! How much is many to you then? If you love in whatever you do, the long hours is interesting and fun. Otherwise you would hate this long hours. If you love me truthfully, reading my posts from the first page to the last will be interesting. Right my dear? So sorry! Your earlier comment was removed for reason unknown to me. Wld appreciate, if you could re post it again for us please. Thank you. sure, i was saying of course loh can earn many money... cause i saw some of my friend already earn RM10K per month liao.. yet i still doing much literally on my life and keep complaining~ sigh..
A lonesome person lacks the drive. Take away the loneliness from your heart and I'm sure things would change. Firstly, change your name. Thanks for a clearer view of this honourable job which is described in the same way by my dad. I know how great our job are, but I cant feel it. Feeling the passion from the bottom of my heart. Yesterday my dad had a first ever friend talk-like kind of conversation with me. Telling me his expectation on me. Asking me whether I should continue in this way or not, and etc. We end up with vital decision, a last call for this year until the end of May. He wants me to prove my ability. Whether I deserve to plays an important role in this business or not. Else, he prefer me to switch to another job. I love my current job now. Seriously yes. With no doubt. I can see the future and how it means to everyone when I'm a professional life insurance agent. I'm confident with myself. But I'm lacking in courage to approach other individual. I dont know why. Could it be, I gain not enough confidence as I never close the deals in the past or what? Sorry for bothering you again Mr.Robert. I'm not a person who is always think negatively, but somehow I cant figure it out. To be a life insurance agent, one has to learn and master the Art of Selling. This needs time. After all Rome wasn't built overnight, and I'm sure u can't master this art immediately. One of the skill in selling is Patient. Do you have patience? If you don't, forget selling. Simple as that young man. Ι've learn some excellent stuff here. Definitely value bookmarking for revisiting. I surprise how a lot effort you set to create any such great informative site.